Summer is over, and the next season is here. 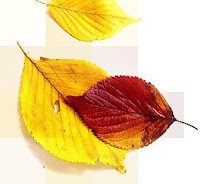 Italian uses autunno, from earlier Latin autumnus, a word probably of Etruscan origin. In American English the word for this season is Fall, while Brits use Autumn (though “Harvest” was the English name for the season until autumn began to displace it 16c). Call it what you will, the mild season is here. Despite the heat of the first few days of the semester, Fall has now arrived in Umbria. Students who spent this past weekend in Cinque Terre (five picturesque little fishing villages on Italy’s Ligurian coast) enjoyed perhaps the last opportunity to take a jump in the Mediterranean. This morning the temperatures were low enough to make long sleeves obligatory, and one could see people in sweaters in Corso Vannucci (to see Perugia’s webcam, click here), though afternoons are still around eighty degrees. Luckily for Umbra students, Fall in Umbria is sunny and mild, and soon Perugia will host both a chocolate festival and the festival of the new wine. Buon autunno!